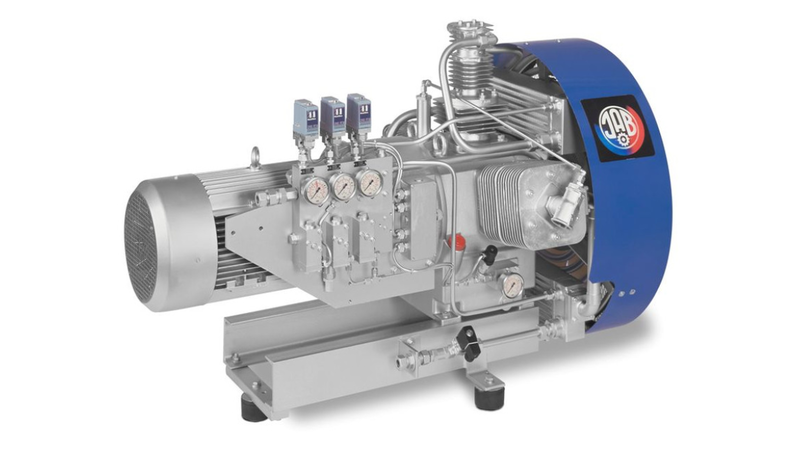 JAB Nitrogen Compressors in compact and robust design grant a reliable and cost effective operation in a various range of applications. Those series distinguish by their high efficient cooling system, high volumetric efficiency, longevity of valves, high economic efficiency and easy maintenance. In standard execution the compressors are equipped with pressure gauges and safety valves for all pressure stages. Optional pressure switches for electronic compressed air supervision as well as electric control unit for automatic operation and individual requirements are available upon request. JAB Nitrogen-Compresosrs are specially used for laser cutting systems, pressure testing systems, system inertisation and nitrogen injection for gas injection moulding.